After many Facebook votes- 275 to be exact- and some tough competition, The Cottages & Lofts are ready to announce the official winner of 2015's Top Dog Contest, and the winner is Bandit! 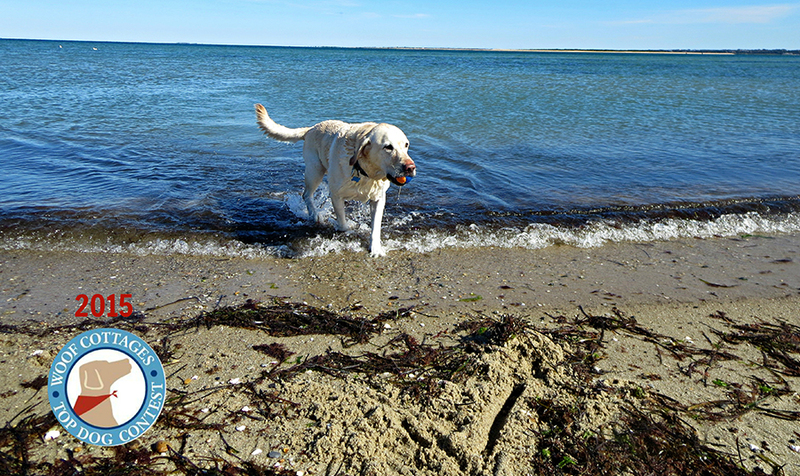 Nantucket is Bandit's favorite vacation spot and he loves swimming all day when he visits! 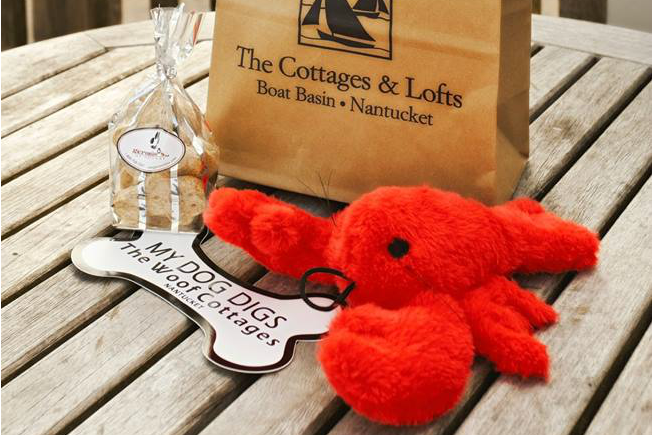 We're sure he also enjoys all of the awesome pet amenities The Cottages have to offer; like toys, treats, riding the beach bus and The Cottages' official "doggie turndown" service. Bandit is an 11 year old Yellow Lab but he still acts like a puppy! 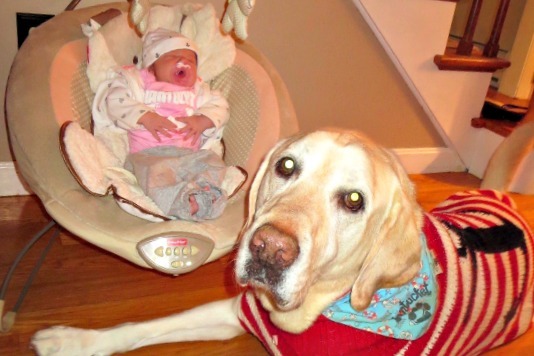 He has a new one week old (human) sister and he loves to keep watch over. Bandit can't wait to bring her to The Cottages in the spring.